Age discrimination in employment continues to be a major issue in developed countries. Older employees are more disadvantaged to retain or regain employment than their younger counterparts. The Age Discrimination Employment Act (the “ADEA”) was implemented to protect older workers from adverse employment decisions based on age. There has been an increase in the population of elder individuals in the United States. Age discrimination continues to make it hard for elderly women in the United States to gain employment if they leave long-term employment for short-term or part-time work. The United States can learn from the recent anti-discrimination measures that Germany has undertaken. Adhering to the European Council Directives, Germany has implemented anti-discrimination laws to combat age discrimination. The chancellor of Germany brought what has been called the Hartz IV Reform. In the United States the ADEA’s efficacy has been diminished by exceptions for bona fide occupational requirements and professions where discrimination is allowed in the name of safety like the airline industry. While Germany struggles with less employees due to mandatory retirement ages, the United States could implement similar policies to those developed in Germany to provide some strength in the ADEA again. 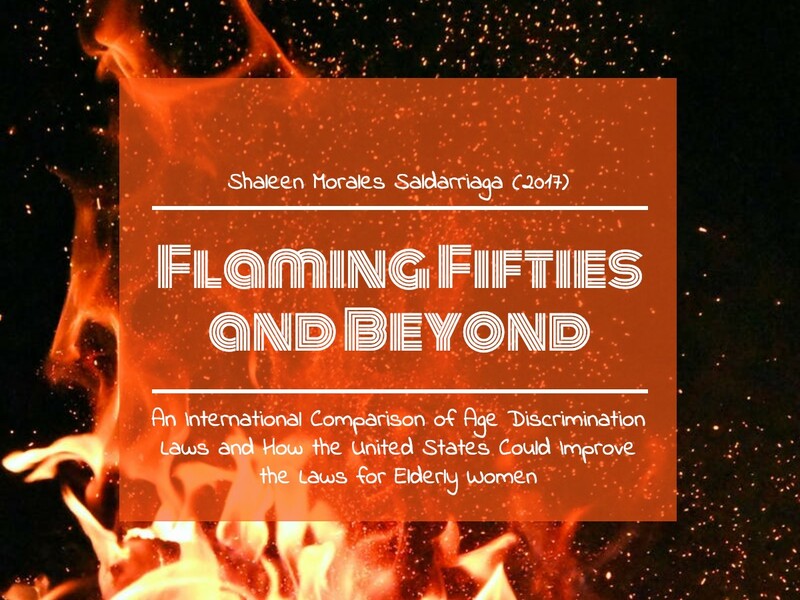 Women of all backgrounds, races, and cultures should be protected under a law that was intended to protect individuals over the age of fifty-five equally. The ADEA should be amended to allow for easier access to employer records. Federal law should also increase the applicability penalties for employers who unlawfully discriminate based upon age. Shaleen Morales Saldarriaga is an Associate Editor 2016-2017, Member 2015-2016, The Elder Law Journal; J.D. Candidate 2017, University of Illinois, Urbana-Champaign; B.A. 2014 InterAmerican University of Puerto Rico. Click here to access the full article in PDF form.